When Carroll Jenkins looks back over the past six years, he can’t help but credit the Sept. 11 terrorist attacks for creating a broader understanding of post traumatic stress disorder. 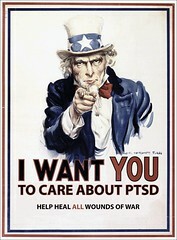 For a psychotherapist specializing in PTSD, that’s a good thing. Jenkins was recently contracted by the Montana National Guard to help train therapists across the state in recognizing and dealing with PTSD. Now, nearly a month later, he’ll help the Montana Chapter of the National Association of Social Workers in a related conference to be held in Helena next month. John Wilkinson, executive director of NASW-MT, said the organization will host what’s believed to be the largest conference ever held in the state dedicated entirely to post-combat stress and veteran care. I had the pleasure of meeting Elizabeth Hawkins and Steve Robinson with ONE Freedom at my Boulder stop on this past summer's Moving a Nation to Care tour. ONE Freedom is a Colorado Springs, Colo., nonprofit that offers free reintegration programs for returning veterans and their families. They've got two new workshops coming up on November 17 and December 1. Highly-recommended participating if you can. U.S. Senators Barack Obama (D-IL) and Christopher Bond (R-MO) sent the following letter to Secretary of Defense Robert Gates, requesting a full accounting of service members’ psychological injuries, including Post-Traumatic Stress Disorder (PTSD), since October 2001. The senators also requested a detailed report on how the military monitors other psychological injuries. Recent media accounts indicate that the number of service members seeking care for PTSD from the Veterans Administration (VA) increased 70% over a 12-month period, or an increase of some 20,000 cases. In addition, reports of the total number of cases of PTSD treatment at the VA since 2001 – 50,000 cases – far exceed the number of wounded documented by the Pentagon. In the letter, Obama and Bond request information including the total number of PTSD among active duty service members; the total number of other reported psychological injuries; the procedures and referral mechanisms for service members to seek counseling while in combat; the number of mental health staff deployed in Iraq and Afghanistan; the number of mental health staff for each major mobilization and demobilization site; the incentives in place to attract additional behavioral health specialists; and the total annual expenditure on mental health care for active duty service members. The Hartford Courant recently ran a piece, "Suicides - A Treatment Issue," by Lisa Chedekel (who has done incredible reporting on combat PTSD issues). Noteworthy information. A recently released, first-ever analysis of Army suicides shows that more than half the 948 soldiers who attempted suicide in 2006 had been seen by mental health providers before the attempt - 36 percent within just 30 days of the event. Of those who committed suicide in 2006, a third had an outpatient mental health visit within three months of killing themselves, and 42 percent had been seen at a military medical facility within three months. Among soldiers who were deployed to Iraq or Afghanistan when they attempted suicide in 2005 and 2006, a full 60 percent had been seen by outpatient mental health workers before the attempts. Forty-three percent of the deployed troops who attempted suicide had been prescribed psychotropic medications, the report shows. The report offers no details on the type or duration of mental health care that troops received before they tried to kill themselves. But it is prompting calls from some soldiers' advocates for better training of medical and behavioral health specialists in recognizing and treating service members in distress. I'm sure many of you who subscribe to PTSD Combat (and those who pop in from time-to-time) feel the same way that I do: There's just never enough time in a day to catch up on all the latest on combat PTSD. That's probably one of the reasons why you've subscribed in the first place. The news on this issue increasingly comes on hot and quick these days as more and more people want to learn about the issue, and more and more media outlets bring us the coverage we need (at long last). I find it hard to keep up with it all, too. And so, I've recently added three outside blog feeds to PTSD Combat (they're in the right-hand column, here): IAVA, Wounded Times and Healing Combat Trauma. The latter two blogs, edited by Kathie Costos and Lily G. Casura, are especially fine complements to PTSD Combat. If we lived in a perfect world, rather than simply providing a link and a nod to their great work, you'd see the three of us posting together on one site to make it easy for you to get your combat PTSD news fix all in one place. Then again, if we lived in a perfect world there wouldn't even be a need for blogs like ours, would there? I hope the feeds provide another avenue for you to educate yourself on an issue that is not only a hot topic right now, but of great importance to our society and our returning troops and their families. A young Iowa reservist who killed himself after returning from Iraq, and his parents' crusade to prevent more suicides, took center stage on the floor of the U.S. House today. Lawmakers voted 417-0 to grant final approval today to the Joshua Omvig Veterans Suicide Prevention Act. It is named in honor of an Army veteran from Grundy Center who took his own life following an 11-month deployment. In emotional remarks, Iowans and others vowed the nation must do better when it comes to veterans who suffer from post-traumatic stress disorder. •Of the more than 1.4 million service men and women who have served in the two war zones, nearly 700,000 have become eligible for Department of Veterans Affairs (VA) medical care, of whom about 230,000 have sought such care since 2002. • Depending on future force deployments, VA medical costs associated with Iraq and Afghanistan could total between $7 billion and $9 billion over the next decade, according to Congressional Budget Office (CBO) projections. Disability compensation and survivors' benefits could add another $3 billion to $4 billion. • A total of about 30,000 troops have been wounded in action. The survival rate of those wounded is higher than it was in Vietnam and much higher than World War II, due to body armor, advances in battlefield medical procedures, and more rapid evacuation. Put another way, this means the number of those killed is a relatively smaller portion of overall casualties. It also means concern is growing about injuries and ailments that have come to mark this war: amputations, traumatic brain injuries (TBI), and the mental and emotional shock of combat. "Of the [Iraq/Afghanistan] veterans who sought care from VA, about 38 percent have received at least a preliminary diagnosis of a mental health condition, and 18 percent have received a preliminary diagnosis for PTSD [post-traumatic stress disorder], making it the most common, but by no means, the only mental health condition related to the stress of deployment," Michael Kussman, undersecretary of the Veterans Health Administration, told a House Committee on Veterans' Affairs hearing last week. According to the Congressional Research Service, between 2003 and 2007 about 60,000 troops were diagnosed with either PTSD or TBI. Once again, the nation has some fundamental decisions to make about supporting the troops who fight for this country. Much of the way this nation has handled the war in Iraq and Afghanistan will be debated for years. One aspect of the debate should be on how the nation cared for the Americans it sent into battle. The war might someday be history. But the effects of it on a soldier can last the soldier's lifetime. The support must be there for the troops long after they return home. An update on the ongoing care and benefit challenges faced by wounded soldiers, veterans, and their families. Anne Hull, reporter, "The Washington Post"
Dana Priest, intelligence correspondent for "The Washington Post" and author of "The Mission: Waging War and Keeping Peace with America's Military"
The number of Iraq and Afghanistan war veterans seeking treatment for post-traumatic stress disorder from the Department of Veterans Affairs jumped by nearly 20,000 — almost 70% — in the 12 months ending June 30, VA records show. More than 100,000 combat veterans sought help for mental illness since the start of the war in Afghanistan in 2001, about one in seven of those who have left active duty since then, according to VA records collected through June. Almost half of those were PTSD cases. The numbers do not include thousands treated at storefront Vet Centers operated by the department across the country. Nor do they include active-duty personnel diagnosed with the disorder or former servicemembers who have not sought VA treatment. About 1.5 million U.S. troops have served in Iraq or Afghanistan. Of those, 750,000 have left the military and are eligible for VA health care. The nearly 50,000 VA-documented PTSD cases far exceed the 30,000 military personnel that the Pentagon officially classifies as wounded in the conflicts. Director, Child Witness to Violence Project, Boston Medical Center, Associate Professor of Pediatrics, Boston University School of Medicine. This week, President Bush began moving forward on the recommendations of his post-Walter Reed scandal appointed Commission On Care For America's Returning Wounded Warriors, also known as the Dole-Shalala Commission. President Bush’s plan to reform the disability compensation system, which he sent to Congress on Tuesday, includes a four-part payment scheme targeted exclusively at a newer generation of servicemembers and veterans. As described by Donna Shalala, Dole’s co-chair and a former cabinet member under President Clinton, the Bush plan would totally restructure how disability compensation levels are set. The military’s role would be reduced to conducting a thorough physical and, from that, determining if an ill or injured servicemember is unfit for duty. Those found unfit would be retired with a lifetime annuity based on final rank and time in service. Annuities would set at 2.5 percent of basic pay multiplied by years served. The VA then would award a disability rating based on any service-related injury or ailment found. In addition to the military annuity, veterans would get a three-part VA payment: (1) transition money to help adjust to civilian life; (2) a monthly payment for loss in earnings capacity, the same rationale for current disability pay; (3) a new quality-of-life payment to compensate for limits on day-to-day activities resulting from the disabilities. Deputy Assistant Director for National Security Matthew S. Goldberg's written statement given to the Congressional Budget Office yesterday offers an analysis of the costs of taking care of returning troops returning home from our wars in Afghanistan and Iraq. Extended has the summary stats. The full document is available online [pdf]. A few other stats reported previously by the CBO included. Fort Campbell’s commanding general is making suicide prevention a priority as he cites the ninth soldier this year taking his own life as enough. The latest death was Tuesday, making it the third soldier suicide within the last two weeks. Schloesser wrote in the letter that with the stresses that go along with multiple deployments, everyone needs to be extra vigilant about looking after each other. More than 10,000 division soldiers have already deployed to the Middle East, with about 5,000 more to leave for Afghanistan early next year. Both tours are expected to last up to 15 months. For many of these soldiers it’s their third or fourth deployment within the last six years. “In stressful times such as these, with so many pushed to the breaking point, it is vital that we ALL understand that we are not alone, and that EVERYONE has a role to play when it comes to suicide prevention,” he wrote. From last night's ABC World News, a report on the spiritual comfort provided injured soldiers by our nation's military chaplains. Unfortunately, there is a severe shortage of these important personnel in the military today, with each deployed spiritual caregiver responsible for up to 1,000 soldiers the report says. I'm planning a book tour recap in the coming days. For now, these photos will have to suffice. While in Massachusetts, Kevin and Joyce Lucey were kind enough to arrange a live New England Cable News interview (thank you Liz and Leslie) for me [view video]. They also came out in support of my stop, and I'd like to thank them immensely, along with everyone else who attended. It was a night I'll never forget, hosted by the wonderful people at Food For Thought Books. Thank you one, and all. Since May, I've been fortunate enough to have had the chance to meet a great many incredible people on my Moving a Nation to Care book tour. With no fancy limos and author's handlers whisking me to and fro between airports and book stores and fancy hotels and cocktail receptions (that's how it is for other authors out there, isn't it? :o), I've had to rely on angels on the ground who have made each stay a success. Back in May, my first stop was just outside of Boston at Waltham's Back Pages Books. Tuesday I return to that great state, my events bookending a very fine run, this time to Food For Thought Books in Amherst. It will be my final 2007 tour stop. Today's New York Daily News quotes two highly-decorated veterans appointed to the House Veterans Disability Benefits Commission. They were an unlikely bunch of soldiers to be making the case for the "talking cure" before Congress last week. They once dismissed it as a copout for shirkers and wimps. "Absolutely, we've gone through a transition" over the years, said retired Marine Maj. Gen. James Livingston, who wears the Medal of Honor from Vietnam. "Now I'm a believer in early intervention" by therapists in the treatment of post-traumatic stress disorder, the diagnosis for what was called battle fatigue or shell shock in wars gone by, Livingston said. While we've made great inroads (especially considering that a rough, tough guy like Livingston has come full-circle in his attitude towards the psychological wounds of war), the truth is that our changed attitudes are worthless if we don't follow up with the proper response. This is wonderful news to share, and an update of a June 2006 post. It shows the power of one, boosted by the power of many. An unexpected donation of land and a four-story building in Sonoma County has ramped up a Tracy woman's plans for a retreat center to segue soldiers from the battlefield to civilian life. The building, in final phases of construction on a wooded hillside outside idyllic Guerneville, and 2 acres of farmland will serve as a pilot location for Nadia McCaffrey's Veterans' Village, a self-sustaining counseling and job-training center for armed forces members returning from Iraq and Afghanistan. Years of studies, and endless reports showing that the veteran health care system is broken in America. Endless promises made by politicians and overseers of the system. And yet another unbelievable, maddening, saddening, deplorable case of neglect has led to the stateside death of a veteran injured in an Iraqi roadside bomb attack. An Indiana National Guardsman who died while in the care of an Army unit for wounded soldiers was alone, in excruciating pain and had not been seen by doctors for days, his family said. Sgt. Gerald Cassidy, 32, of Westfield, died in a chair on the third floor of a renovated barracks at Fort Knox, Ky., in September – five months after arriving at the post with what his family said was brain damage suffered in a roadside explosion in Iraq. Cassidy’s mother, Kay McMullen, of Carmel, said Tuesday that the manner of his death – and inconsistent treatment that included the Army denying him pain medication – cast doubt on the quality of care for service members if the severely wounded are being left to fend for themselves. There is a need for health care professionals in our military. Don’t know what to do after college? Maybe you can answer the call. Leo J. Shapiro & Associates is a premier Chicago-based market research firm. Every month, the 50-year-old company surveys Americans on how they feel about a variety of issues, such as spending and saving, consumer prices and the stock market, and income and job security. In August, they reported that nearly 40 percent of us are worried about losing our income because of a job layoff or cut in work hours. It was the fourth month in a row that Americans were so downbeat. Clearly, a lot of us are anxious about our future. And college students are no different. If anything, their anxieties are compounded: College students not only worry about their future job security, they also worry about choosing the right major. Iraq and Afghanistan Veterans of America is spearheading a campaign directed at moving our congressional leaders to approve the delayed veterans' budget. They've collected funds to air a television commercial and are collecting signatures for a petition. It's not too late to donate or to add your name if you feel you'd like to support this worthy cause. The commercial is below, and more details below the fold. What Should I Expect During a Screening? Screenings are free and completely confidential. The screening is an opportunity to learn more about anxiety and mood disorders, complete a brief screening questionnaire, and speak one-on-one with a mental health professional. If appropriate, you may be referred for a complete evaluation. * Fill out a "friends and family questionnaire" for a loved one. To find a site near you, visit www.mentalhealthscreening.org. If you can't get out today in time for a free consultation, About.com has a list of online depression screening tools. The specialized Post Traumatic Stress Disorder Outpatient Treatment Program of the Department of Veterans Affairs Black Hills Health Care System is hosting a women's retreat Friday through Sunday, Oct. 19-21, at Fort Meade VA Medical Center. The semiannual weekend retreat, beginning at noon Oct. 19, is for women veterans of all eras and family members (wives, significant others, mothers, adult daughters, etc.) of male combat veterans. The major objectives of the retreat are to help provide participants a better understanding of PTSD and an opportunity to develop new perspectives in relationships. Participants must be screened and preregister by calling the SUPT Program at 720-7449 or 1-800-743-1070, Ext. 7449. Are PTSD Veterans Slated to Lose Their Right to Possess Firearms? There is no such thing as the “Veterans Disarmament Act.” There is no pending legislation that would take firearms away from veterans. There is no pending legislation that would prevent a person with post-traumatic stress disorder (PTSD), veteran or not, from purchasing a firearm or ammo. But, there is a huge campaign of misinformation and scare tactics being forwarded by a small gun owners group who view themselves to be in competition with the National Rifle Association (NRA). Let’s use some common sense instead of nonsense. If veterans were to lose the right to own firearms, you’d have a lot of unemployed cops. If those who have PTSD were to lose that right, there’d be even more unemployed cops and other first responders, as well. The arguments about a “Veterans Disarmament Act” are, quite simply, ridiculous and illogical. The piece of legislation is question is H.R. 2640, the NICS Improvement Amendments Act of 2007. H.R. 2640 was carefully-crafted by the NRA and Members of Congress to protect the rights of gun owners, especially those who may have mental health issues such as PTSD. Alert: Tell your public officials how you feel about this legislation. Over the past two years, I've been following Minnesota's top notch efforts on behalf of its military families and returning troops (see related posts below). The state and its communities have been proactive to the nth degree in offering these important members of society the support that they need to deal with deployments -- and the readjustment period that follows. With all the good work coming out of Minnesota, it's not surprising to see their latest move. On October 17th they will be convening a conference featuring Lt. Col. Dave Grossman, author of the indispensable book, On Killing: The Psychological Costs of Learning to Kill in War and Society. To address the behavioral health care needs of the thousands of Minnesota National Guard members throughout the state, Blue Cross and Blue Shield of Minnesota (Blue Cross), along with TriWest Healthcare Alliance and the Minneapolis VA Medical Center (VAMC), is hosting the first-ever Combat Stress Conference. The Minnesota National Guard consists of more than 13,000 members who live in nearly every corner of the state. Since 2001, more than 80 percent of the members have been mobilized for active duty, serving in 33 different countries. In addition, nearly 2,600 Minnesota National Guard members completed their deployments to Iraq and returned home in August. Nearly 350 community-based physicians, nurses, psychiatrists and other health care professionals that care for the troops have been invited to attend the conference on Oct. 17, 2007 at the Earle Brown Heritage Center from 7:30 a.m. to 5 p.m. It is intended to help providers identify deployment-related symptoms such as combat stress, anxiety, depression, post-traumatic stress disorder (PTSD) and traumatic brain injury, as well as providing treatment methods. YouTube is not only a great source of news and entertainment clips, it's also got some wonderful instructional videos. I've collected a few here that focus on better breathing techniques to aid in stress release. The U.S. Department of Defense has not yet fully embraced yoga, but the Walter Reed Army Medical Center in Washington, D.C. is seeing impressive results from it. A recent feasibility study conducted there indicated that a particular approach of yoga had a positive effect on military personnel suffering from post-traumatic stress disorder (PTSD). 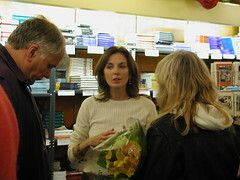 The study, funded by the Samueli Foundation, a private grant-making institution dedicated to facilitating positive change and enabling individuals to achieve their potential, used a protocol of Yoga Nidra meditation to examine its healing effect on US active-duty soldiers who were experiencing PTSD from their experiences in the Afghanistan and Iraq war zones. Yoga Nidra uses deep relaxation, deep breathing and meditation to systematically reduce physical, emotional, mental and even subconscious tension. Last week, the New York Times examined concerns some of the 3,300 soldiers of the 10th Mountain Division’s Second Brigade have after winding up their 15-month combat tour. It's a good window into the anxious feelings many troops have at homecoming. On bases big and small south of Baghdad, the scrambled reality of war has become routine: an unending loop of anxious driving in armored Humvees, gallons of Gatorade, laughter at the absurd and 4 a.m. raids into intimate Iraqi bedrooms. Veterans disability payments should be increased immediately by up to 25 percent as part of a sweeping overhaul designed to compensate for a wounded warrior's lost "quality of life," a special commission recommended Wednesday. The 2 1/2-year study [full report :: executive summary]...by the Veterans' Disability Benefits Commission offers the most comprehensive look yet at the ailing government benefits system that provides millions of injured veterans with about $30 billion a year in payments. Tracking the findings of recent reports that detailed flaws in veterans care, the 13-member congressional commission concluded in its 544-page report that both the Pentagon and Veterans Affairs Department fall woefully short in providing adequate mental health care as well as timely and fair disability payments. Along with congressional hearings on allegations of recklessness against Blackwater USA security forces in Iraq, questions are also being raised about the way military contractors deal with traumatic stress while overseas and upon returning home. The House began hearings Tuesday on the military contractor Blackwater following reports about the company's employees in Iraq who were linked to the killings of 11 Iraqi civilians in September...In light of the high-profile incidents, possible explanations for the company's actions are emerging, including psychological harm such as post-traumatic stress that led to erratic behavior by some contractors. "I have never heard of a company offering psychological counseling," a military contractor who works for another company said on the condition of anonymity because of his firm's involvement with the Blackwater investigation. In February we looked at the mental health care given to private government contractors returning from work in combat zones like Iraq. While the focus at that time was on insurance coverage denial, related questions are rising from the current Blackwater story. One problem area is the responsibility private companies have -- or do not have -- for providing returning employees access to sufficient health care resources (to treat PTSD, for example, if necessary). And how proactive do these private companies need to be in designing and delivering such a health care system? Bill Maher had director Ken Burns ("The War") on his show this past weekend; well worth a viewing.